Small and medium-sized business houses in Azerbaijan will be able to receive, check and issue documents and various certificates related to state registration of rights to real estate, according to the decision of the Cabinet of Ministers of Azerbaijan. 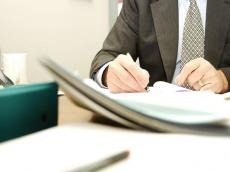 The relevant amendments to the “Rules for receiving, checking and issuing documents for state registration of rights to real estate” have been approved by the Cabinet of Ministers of Azerbaijan. By another decision of the Cabinet of Ministers, small and medium-sized business houses received the right to register business entities in the food safety registry. The Agency for Small and Medium Business Development of Azerbaijan was established on the basis of the decree on improvement of management in the field of small and medium-sized businesses signed by President Ilham Aliyev in December 2017. According to the decree, small and medium-sized business houses will operate at ASAN Service centers. In those regions of the country where such centers are absent, the houses will operate under the regional divisions of the Ministry of Economy. Small and medium-sized businesses will be controlled by the Agency for Small and Medium Business Development of Azerbaijan. Small and medium-sized business houses will provide a number of services, including training, consulting, information, financial and other services.